A different twist utilizing our proven mounting system. An excellent structure with installation quite similar to the sport models. Fits 1990 - 2005 year models. 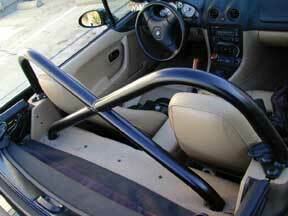 Not sure which Roll Bar is right for you? Contact Us! Gift Certificates make the perfect gift any time of year! 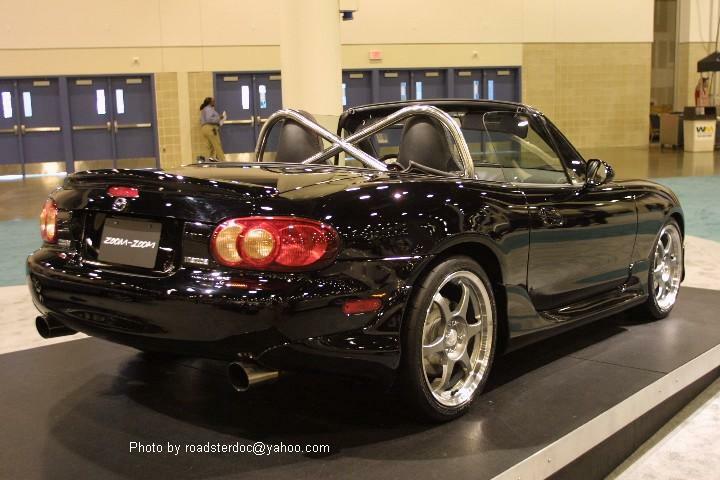 *Certain seat configurations in Miata models '01+ may cause the seat to come into contact with the bar. While the headrest may touch the bar, this does not limit seat travel. WARNING: This article is sold without warranty, expressed or implied. No warranty is made to this product's ability to protect the user from any injury or death. The user assumes that risk.